Fall 2018: Tuesday and Wednesday - 3:30 to 5:00 and by appointment. Jonathan Hartlyn, Kenneth J. Reckford Distinguished Professor of Political Science, received his B.A. from Clark University and both his M.Phil. and Ph.D. in political science from Yale University. Before coming to UNC-Chapel Hill in 1988, he taught at Vanderbilt University. His research and teaching interests are in the comparative politics of Latin America, especially with relation to questions of democratization, political institutions, and state-society relations. He is the co-author of Latin America in the Twenty First Century: Toward a New Socio-Political Matrix (2003; Spanish publication, 2004 and Portuguese publication, 2007), and author of The Struggle for Democratic Politics in the Dominican Republic (1998; Spanish publication, 2008) and The Politics of Coalition Rule in Colombia (1988; Spanish publication, 1993). He is also the co-author of “Democracy in Latin America Since 1930” in Cambridge History of Latin America, Vol. VI, Part II (Leslie Bethell, ed., 1994; Spanish publication, 1997), and the co-editor of Latin American Political Economy (1986), The United States and Latin American in the 1990s: Beyond the Cold War (1992), and Democracy in Developing Countries: Latin America , 2nd edition (1999). His articles have appeared in numerous journals and edited books, including International Political Science Review, Comparative Political Studies, Politics & Gender, Latin American Politics & Society, Latin American Research Review, Journal of Democracy and Studies in Comparative International Development. He received a Johnston Award for Teaching Excellence from UNC in 2010. 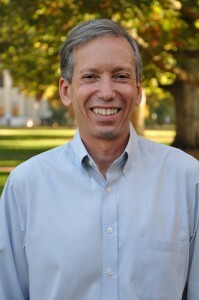 He served as Senior Associate Dean for Social Sciences and Global Programs for UNC’s College of Arts & Sciences from 2009 to 2017, and has also served at UNC as Chair of the Department of Political Science and Director of the Institute of Latin American Studies (now the Institute for the Study of the Americas). He was elected to a term as Chair of the Comparative Democratization section of the American Political Science Association (2005-07), and as a member of the Executive Council of the Latin American Studies Association (2007-10).